Host status of four leguminous cover crops [Canavalia ensiformis (L.) DC. (Jack bean), Crotalaria ochroleuca G. Don (Sunnhemp), Lablab purpureus L. (Hyacinth bean) and Mucuna pruriens (L.) DC. (velvet bean)] to Pratylenchus zeae Filipjev and effects of intercropping C. ensiformis and M. pruriens with Pan5195, H627 and Emap11 maize cultivars on P. zeae population and disease severity on maize were determined in greenhouse and field tests. Pratylenchus zeae significantly (P<0.05) reduced growth of C. ochroleuca by 36% but had no effect on C. ensiformis, M. pruriens and L. purpureus. While C. ensiformis, M. pruriens and L. purpureus reduced P. zeae population, C. ochroleuca increased it. In the greenhouse test, intercropping maize with C. ensiformis significantly (P<0.05) improved maize growth by up to 34%, Nematode populations in the roots of maize intercropped with either C. ensiformis or M. pruriens were significantly (P<0.05) reduced by up to 32% while nematode disease severity in these intercropping systems was reduced by up to 26%. In the field test, intercropping Emap11, Pan5195 and H627 with C. ensiformis significantly (P<0.05) increased maize grain yield by 190, 29 and 22%, respectively. Intercropping H627 with M. pruriens significantly (P<0.05) increased maize grain yield by 12%, but grain yields of Pan5195 and Emap11 declined by 79 and 40%, respectively. 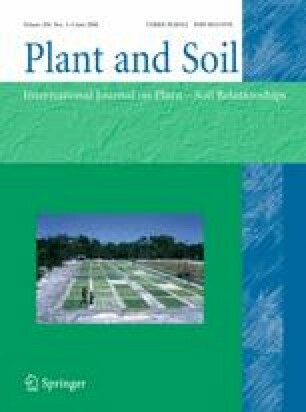 Root necrosis and soil nematode populations in the C. ensiformis–maize intercrop declined by up to 50 and 30%, respectively. Under pure maize stands, soil nematode populations increased by up to 35% in 90 days relative to the initial nematode population of three nematodes g−1 of fresh soil.